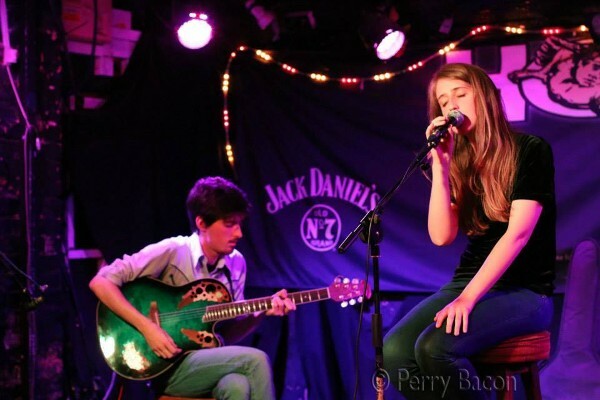 An acoustic guitar and voice duo from the North of London, ‘Stewart & Georgie’ specialise in a laid-back, breezy style, with a repertoire ranging from the ‘Great American Songbook’ jazz classics to contemporary soul. Georgina’s interest in singing took-off when in 2008, aged 13, she successfully auditioned for the renowned Capital Arts Children's Choir. Over the next busy three years, she was a soloist during tours of New York and Paris, performed in Raymond Gubbay's Royal Albert Hall production of 'Carmen', sung on-stage at the 02 Arena and recorded at the famous Abbey Road Studios. Over the last three years, Georgina studied music at the University of Hull, becoming the leader of three dynamic bands, performing styles ranging from the jazz of Gershwin, to the electronic duo, Lamb. She graduated with a 1st in Summer 2015, and is now pursuing a career in music. Although only 26, Stewart has been playing guitar for 15 years, during which time he has tutored and gigged extensively; tirelessly working on being the best musician he can be. His styles range from ska through rock to jazz. In 2014, Stewart became associated with prolific North London Ska act ‘The Skammers’, and played on the band’s 2015 debut album, ‘Armchair Revolution’ (available on iTunes). Stewart & Georgina met in 2013 when Georgina started guitar lessons. Realising that they both shared a love of similar music, they began gigging around the North London area, including headlining at 'The Blue Angel Acoustic Café’ in St Albans. Deciding to pursue their interest in jazz to a greater extent, they have built up a repertoire of raw and honest music influenced in particular by Billie Holiday, Chet Baker and modern jazz artist, Madeleine Peyroux. ‘Stewart & Georgie’ are delighted to be performing at ‘Basement Sate’ in Soho for the venue’s new and exciting live music venue.